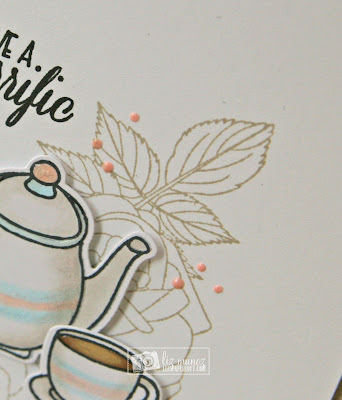 Liz's Paper Loft: MCT November Release Day 1 of Sneak Peeks ~ tea-rrific birthday! MCT November Release Day 1 of Sneak Peeks ~ tea-rrific birthday! Happy Happy Monday it's My Creative Time's November Release Sneak Peek Day 1! You're going to LOVE this release, it's perfect for all occasions! I just did some quick stamping, and little coloring with copic markers, and added wink of stella and glossy accents. I love the simple elegance of this card! Pretty card! Love the soft colors! Beautiful card!! love how you did the background! OMG Miss Liz what an Adorable, Sweet and Magnificent Card. 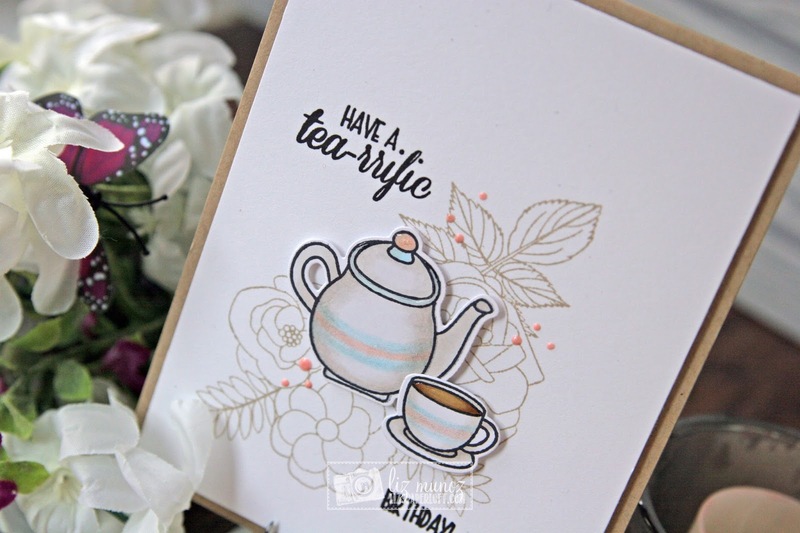 I love how you created your soft background which so showcases the cute-tea Stamp & die set. Love how you always create that Vintage look.....I LOVE IT!! You so did a Super Outstanding Creative job!! YOU so ROCK! Very elegant. This stamp set can be used in so many ways. This looks very elegant and also appears it would be easy to make. Great idea! So sweet. I like the stamped background. 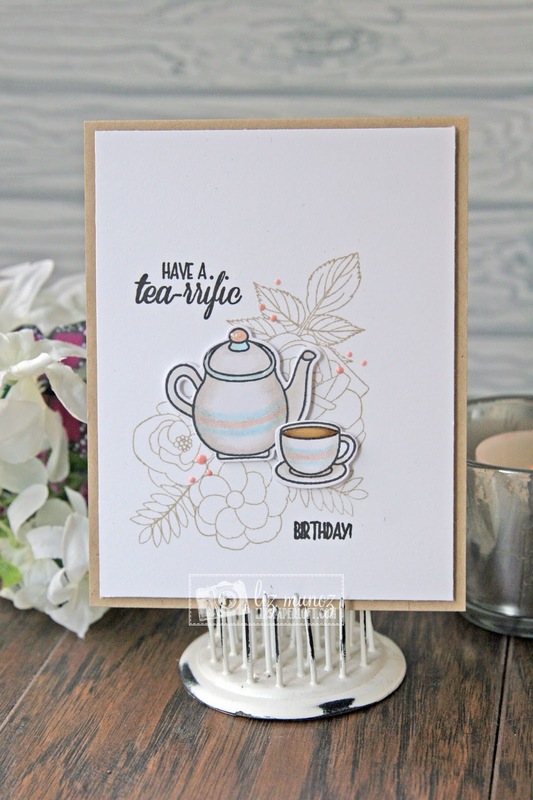 Great card design...the soft stamp background is so pretty with the light coloring of the tea pot and cup. Beautiful job. Love your beautiful card. 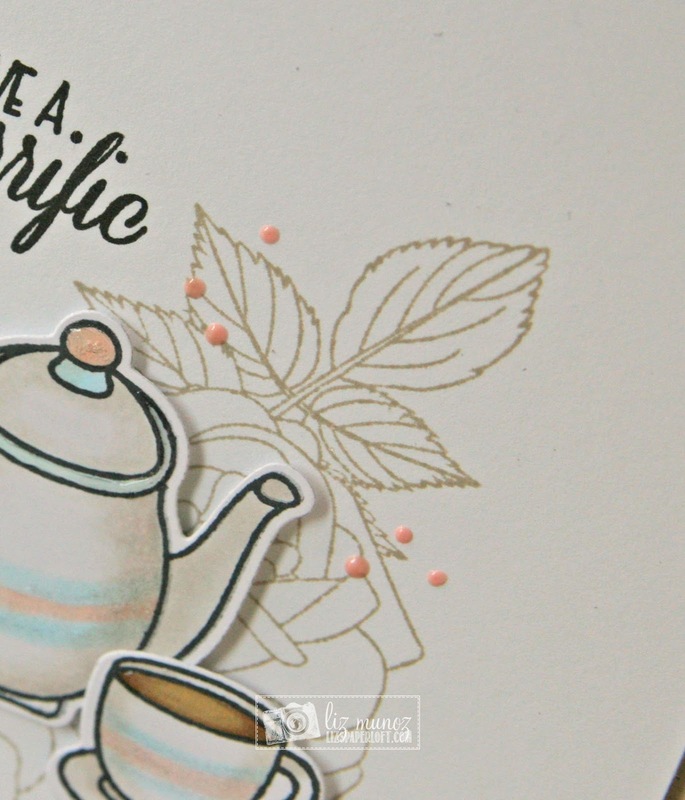 The stamped background with the soft colored teapot and cup looks so perfect. Thanks for the fabulous idea. Beautiful cards- the subtle background truly showcase your main images . MCT 5 Days of Christmas ~ hot chocolate season! MCT 5 Days of Christmas Day 4 ~ santa express! MCT 5 Days of Christmas Day 3 ~ merry christmas! MCT 5 Days of Christmas Day 2 ~ noel! MCT 5 Days of Christmas ~ gingerbread tag! MCT Black Friday Blog Hop ~ limited fun tags! MCT November Release Blog Hop ~ just brew it! MCT November Release Sneak Peeks ~ brew-utiful! MCT Weird Holiday ~ hello! MCT Flash Sale Blog Hop ~ christmas greetings!